LINK Program – Transfer Track! LINK events are not just fun and entertaining – they’re profitable! Listed on the LINK website and in the app (Goosechase – under the Transfer Track) are all the LINK-associated events. For each program a student attends (and checks in using the Goosechase app), they will receive LINK Loot. Students can earn LINK Loot until the end of each semester (Summer, Fall, and Spring) and then have the opportunity to use their Loot at various events for awesome prizes! All students can participate in LINK Loot events, however, only first-year transfer students can earn LINK Loot (redeemable for prizes). To learn more about LINK Loot, visit the official site hosted by UCF First Year Experience. Tau Sigma National Honor Society for transfer students is an academic honor society which focuses on showcasing the academic accomplishments and involvement of university transfer students. To be eligible for this organization, students must earn a 3.5 UCF GPA in their first semester at UCF while enrolled fulltime (12 credits or more). For more information about Tau Sigma, please visit this website. 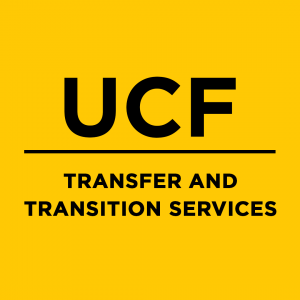 Transfer Knights is a registered student organization designed to help incoming transfer students integrate successfully into the UCF community. Thousands of students transfer to UCF each semester and each has a story to tell. By connecting with Transfer Knights, transfer students can participate in a shared experience which seeks to provide activities, programs and events that build relationships and ultimately enhance academic success. Join Transfer Knights on Facebook for more information and event details.